This was one Fun embroidery project. 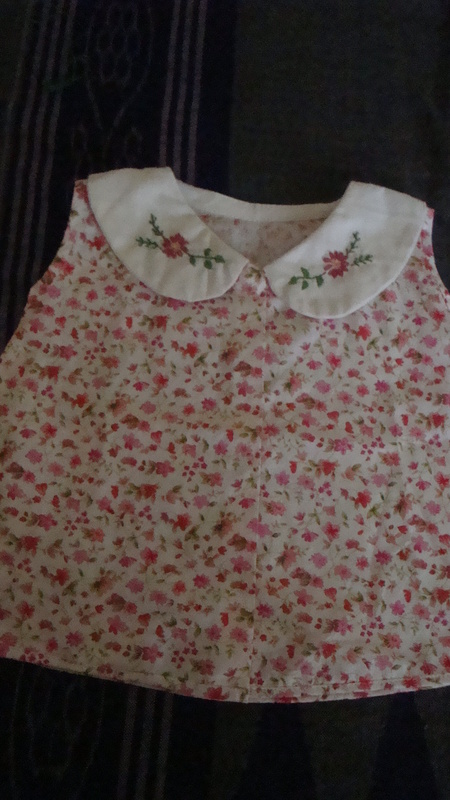 It all started off with my mom deciding to stitch some frocks and a quilt for my baby-cousin who turns one next month. I was home for a week around Christmas, and since I was quite jobless then :P, I told her I’d help with stitching on the buttons/hooks. That’s when it struck me, that I could actually do some minimal hand-embroidery and brighten up the frocks. Mom had bought some of this pretty floral print cloth and she planned to make a frock out of it-with some white cloth around the yoke. 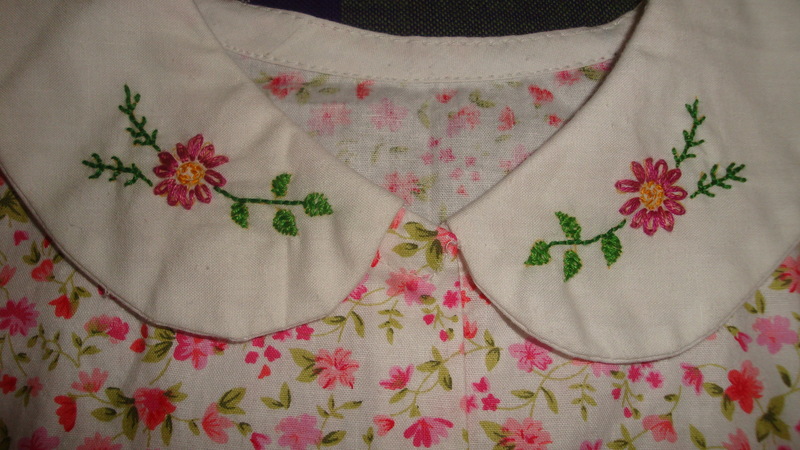 I told her to instead use the white for collars so that I could then do some floral embroidery motifs on the collar pieces. I picked some simple lazy-daizy flower design and colors that matched the print on the rest of the frock and finished it in about a day.